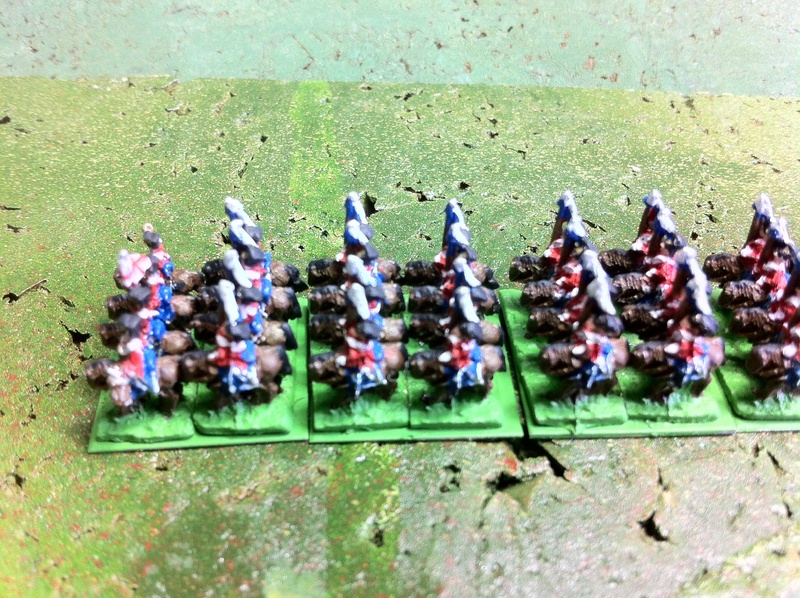 I have just finished painting two light cavalry units for my generic Red Army and Blue Army. 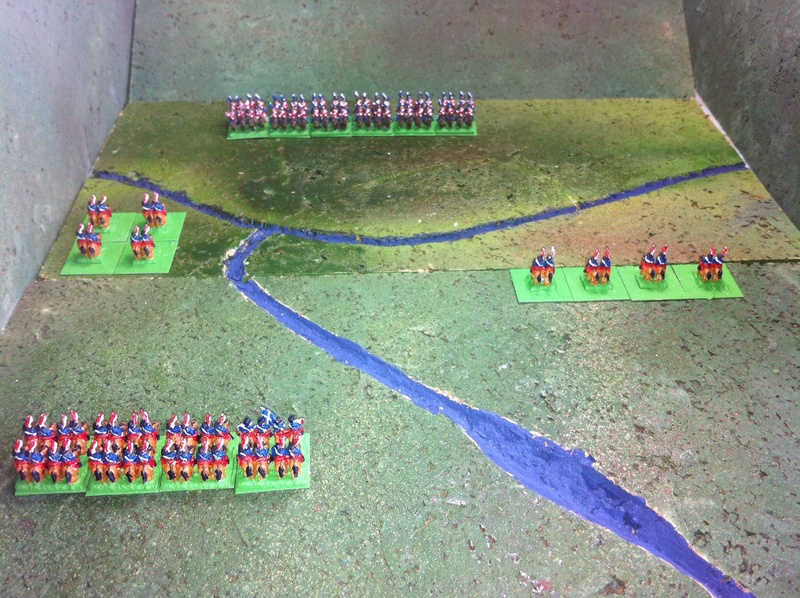 They are painted in a toy soldier style, using only red, blue, white and black for uniforms, and a standard colour for horses within each regiment. 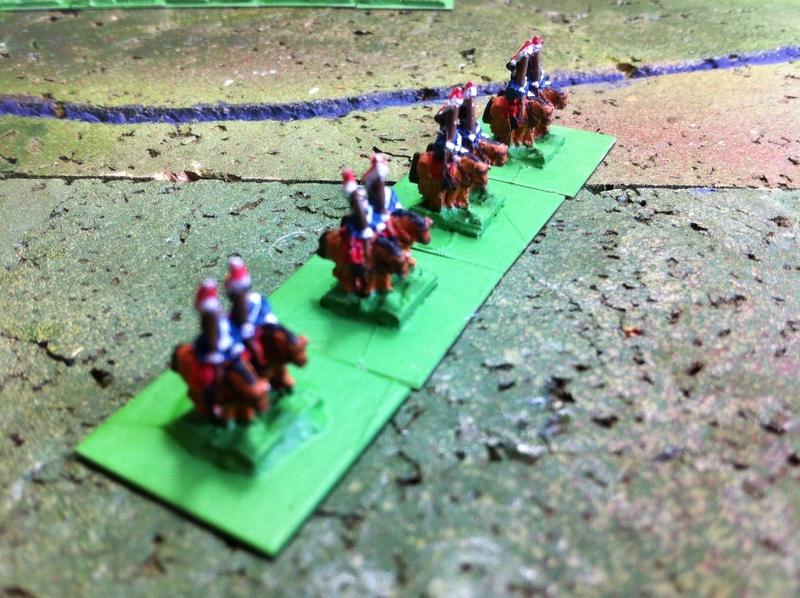 The models are from Irregular Miniatures’ 6mm range. FN5 Polish Lancers if I remember well. These photographs do not do them justice, taken with an iPhone because I have nothing better at the moment. Footnote. I know that in this scale you are supposed to skip the detail and concentrate on the mass, but I wish I had never taken up cavalry re-enacting. I now feel compelled to paint almost every item of horse furniture where previously the reins would have been sufficient. I use the Army Painter “Wargamer: Insane Detail” brush for much of this work, with a good light and a large magnifying glass. And when deployed on the table I know that the detail is there!